of a house instead of walking by and ignoring them. I went up to the house and rang the door bell to check if the keys belonged to them. and I hope that the owner gets their keys returned. and came over giving it to my mum and dad. 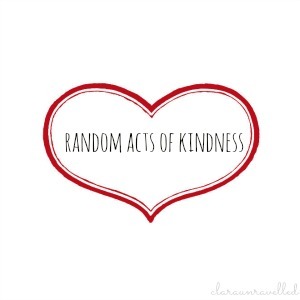 It's these random acts of kindness that can make someone's day. have enough change for the bus so let me on for free. so in the near future I shall be receiving a little surprise off her. The first 6 people (UK Only) to comment on this post will be sent a surprise from me. It wont be expensive but will either be shop bought or home-made. It will be sent out before the end of 2013 but I wont tell you when. you grinning from ear to ear.